You have been writing equations of the form y = a + bx. When you know the line’s slope and the y-intercept you can write its equation directly in intercept form. But there are times that we don’t know the y- intercept. 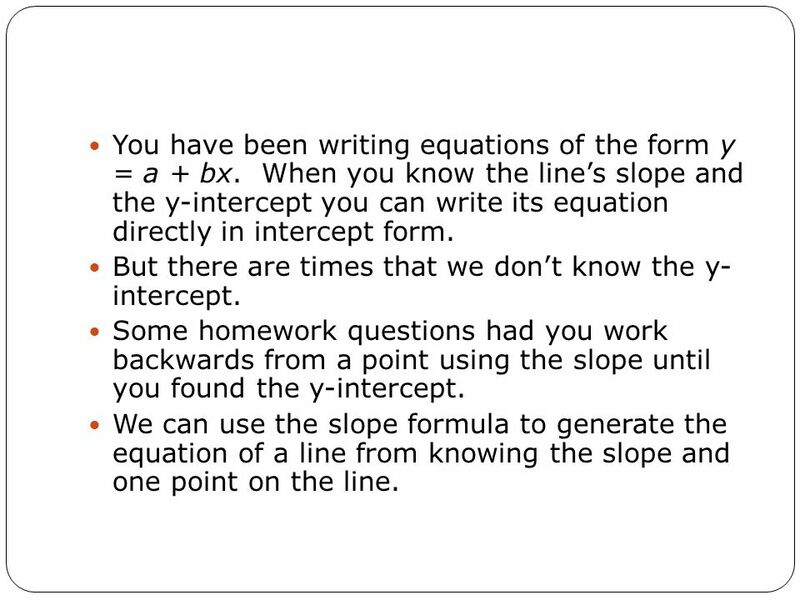 Some homework questions had you work backwards from a point using the slope until you found the y-intercept. 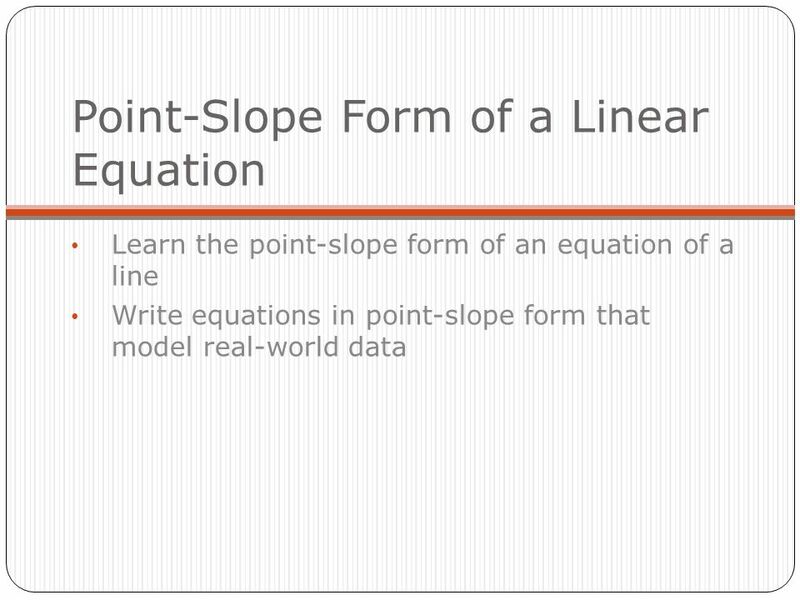 We can use the slope formula to generate the equation of a line from knowing the slope and one point on the line. 3 Since the time Beth was born, the population of her town has increased at the rate of approximately 850 people per year. On Beth’s 9th birthday the total population was nearly 307,650. 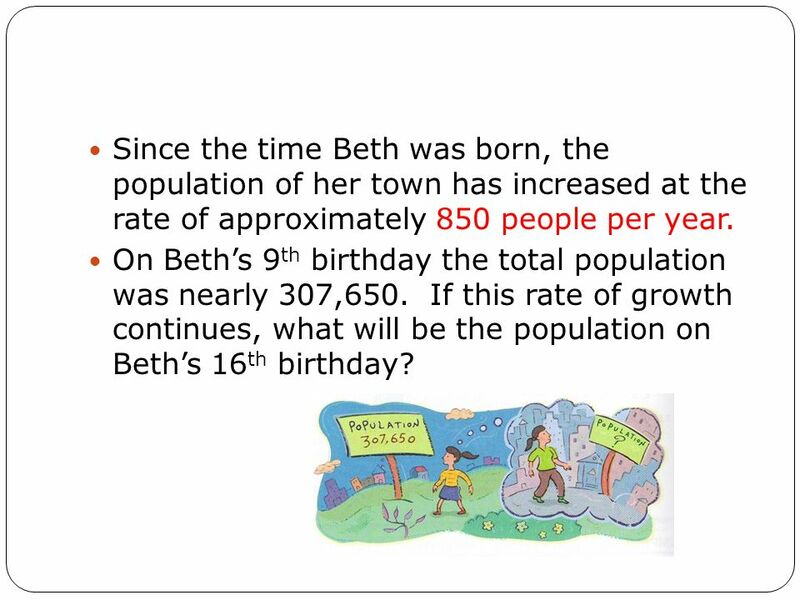 If this rate of growth continues, what will be the population on Beth’s 16th birthday? 4 Because the rate of change is approximately constant, a linear equation should model this population. 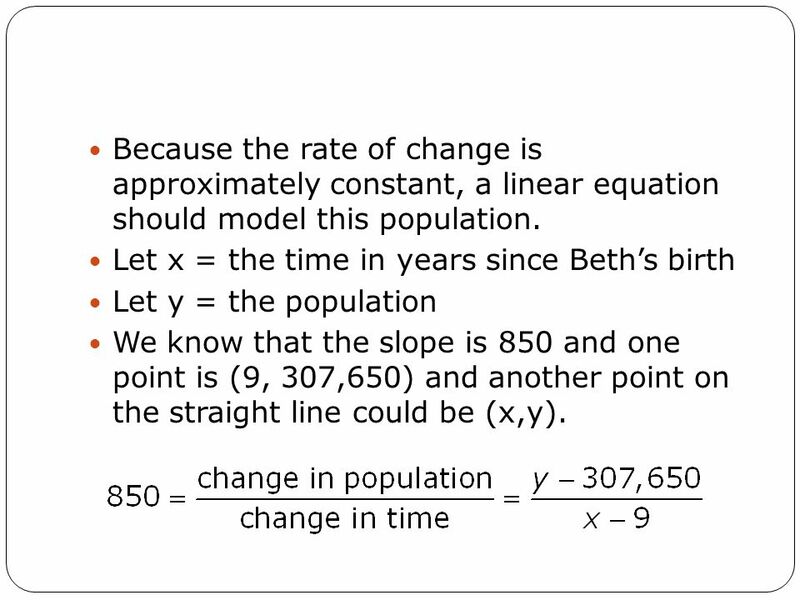 Let x = the time in years since Beth’s birth Let y = the population We know that the slope is 850 and one point is (9, 307,650) and another point on the straight line could be (x,y). 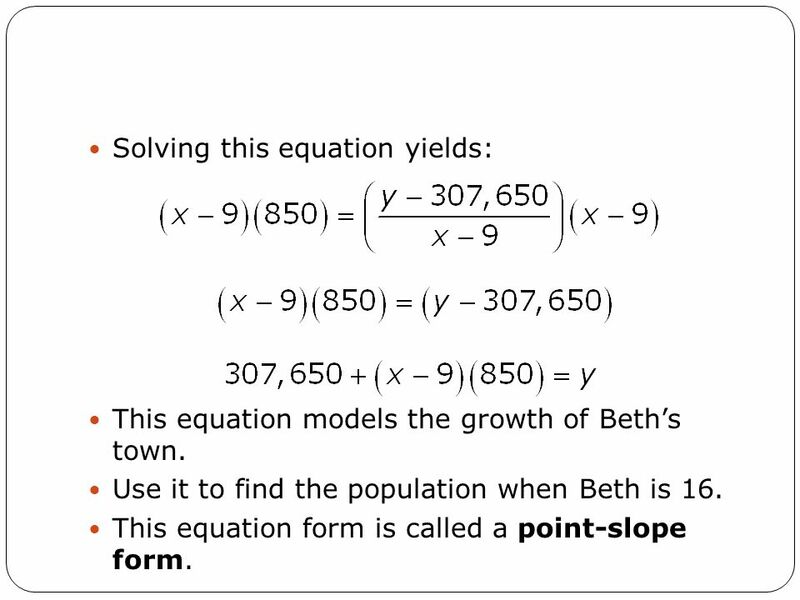 This equation models the growth of Beth’s town. Use it to find the population when Beth is 16. 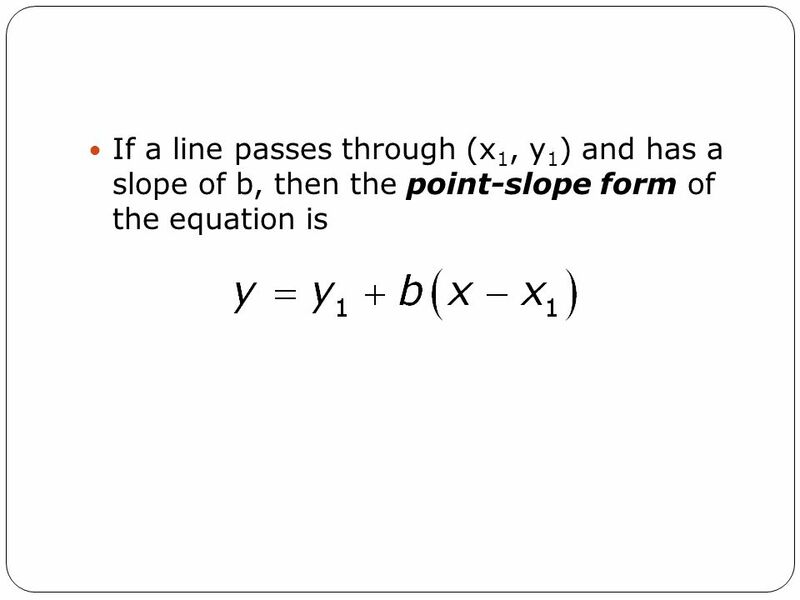 This equation form is called a point-slope form. 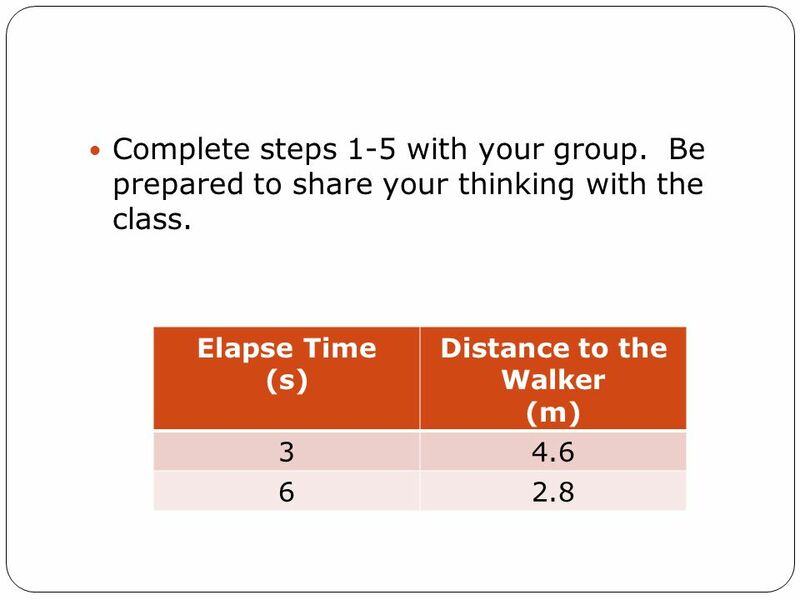 11 Complete steps 6-8 with your group. 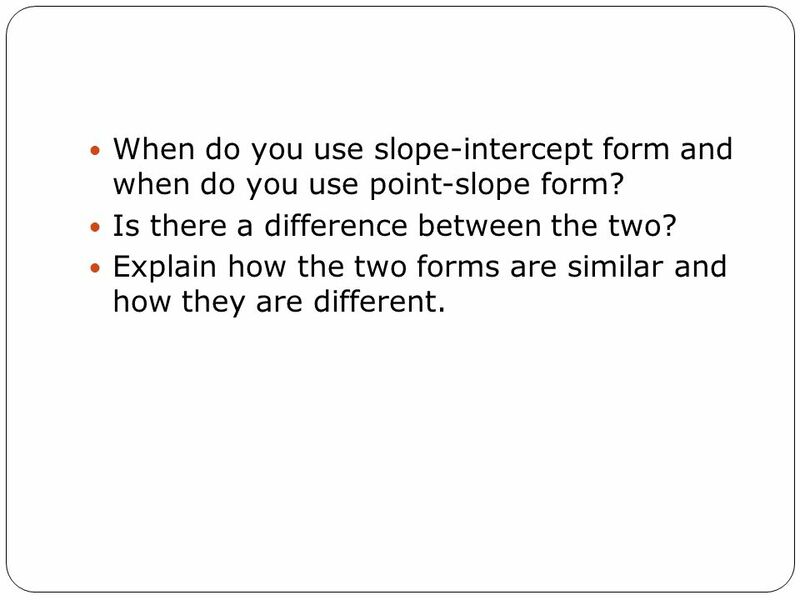 13 When do you use slope-intercept form and when do you use point-slope form? Is there a difference between the two? Explain how the two forms are similar and how they are different. 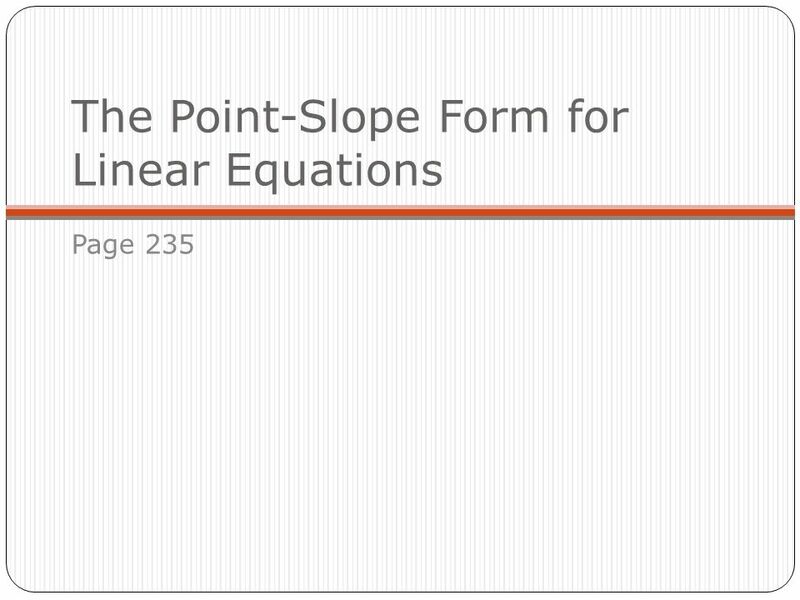 Download ppt "Point-Slope Form of a Linear Equation"
Objective - To graph linear equations using the slope and y-intercept. WARM UP 1. Explain how to graph a linear equation written in slope-intercept form. 2. Explain how to graph a linear equation written in point-slope form. Warm Up… Solve each equation for y.
Point/Slope Form Think what the formula is, then click on the name. Next Page. Graph: x + y = 5 1. Solve for y. 2. Make an X|Y chart. 3. Graph. Graph a linear equation Graph: 2x – 3y = -12 Solve for y so the equation looks like y = mx + b - 3y = -2x – 12 Subtract 2x to both sides. y = x + 4 Divide. Linear Equations Review. Find the slope and y intercept: y + x = -1. Chapter 2.4 Equations of Lines; Curve Fitting. Point-Slope Form In the previous section we saw that the graph of a linear functions is a straight line. Academic Content Standards Patterns, Functions, and Algebra Standard 8 th Grade 1. Relate the various representations of a relationship; i.e., relate. 1.5 – Linear Functions 1.6 – Linear Regression. 1.5 Slope Intercept Form ( Pg 77) If we write the equation of a linear function in the form. f(x) = b.
Graphing Using Slope - Intercept STEPS : 1. Equation must be in y = mx + b form 2. Plot your y – intercept ( 0, y ) 3. Using your y – intercept as a starting. 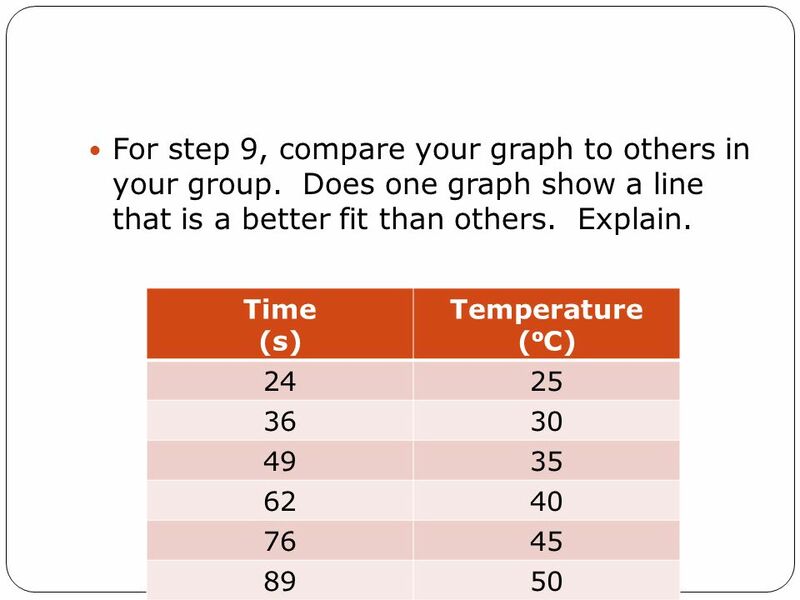 5-7: Scatter Plots & Lines of Best Fit. 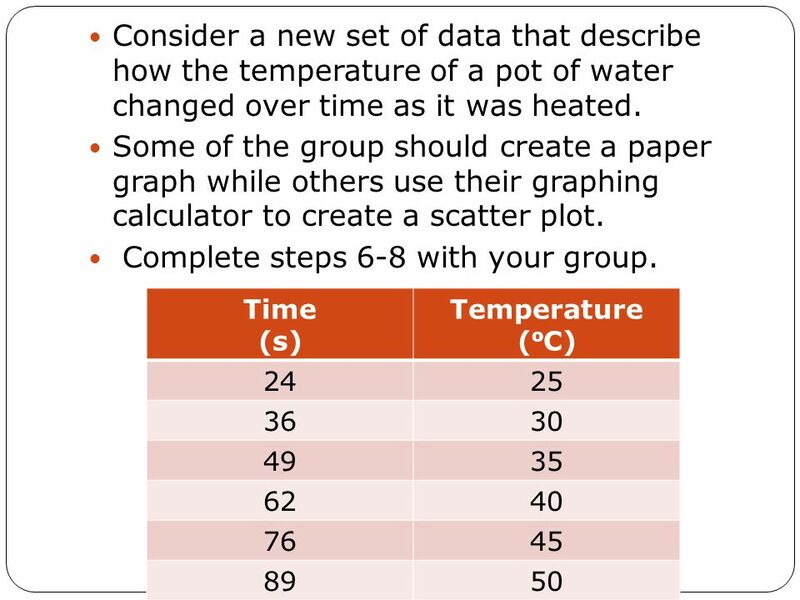 What is a scatter plot? 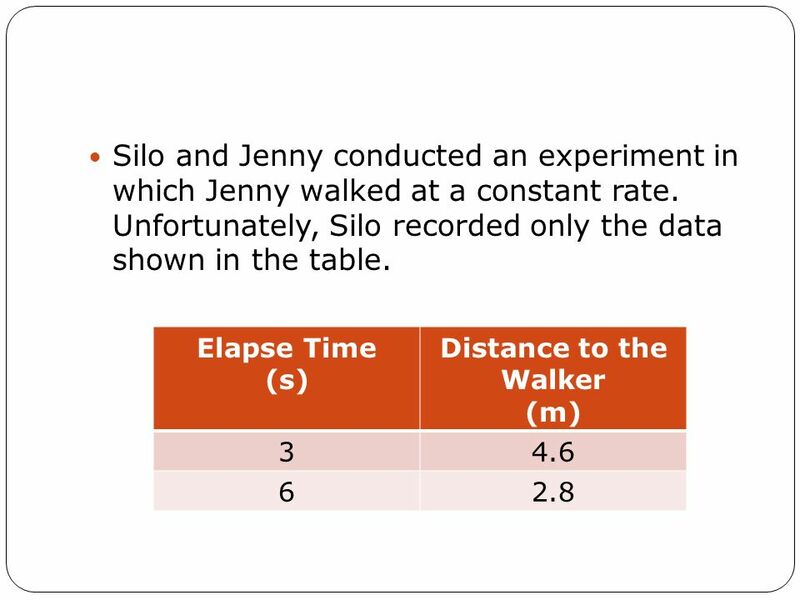  A graph in which two sets of data are plotted as ordered pairs  When looking at the. 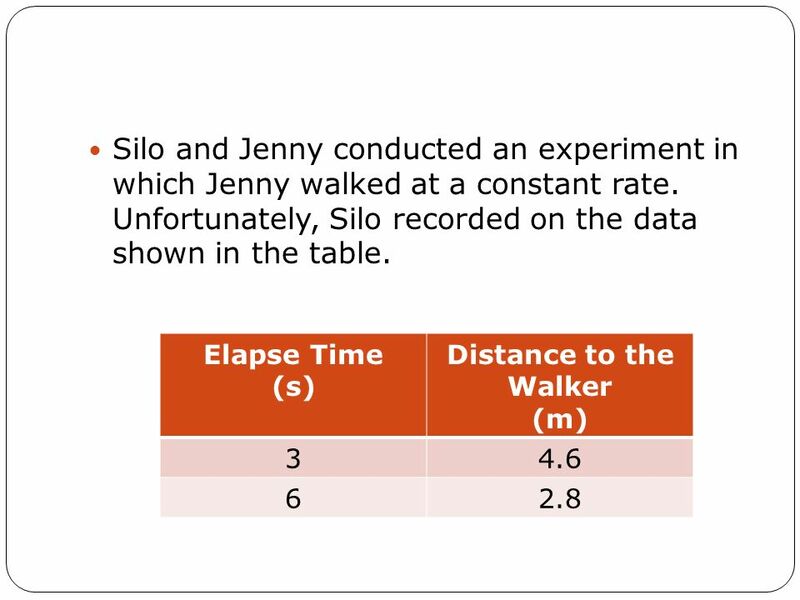 ~adapted from Walch Education CONSTRUCTING FUNCTIONS FROM GRAPHS AND TABLES.